I have begun to bribe Neil with meatballs and cake so he will actually step foot inside IKEA these days. After one trip we decided to go to St Helens, just because we've never been and I’d also been asked many moons ago to do a Life in Northern Towns review of this town. Getting to St Helens is simple - we headed down the M62, past the Dream statue, exited at junction 7, negotiated the many roundabouts of the A570 and passed the out of town retail parks into St Helens. The Dream statue on the edge of St Helens was built to commemorate the mining history of the place. Whilst I don’t have a problem with public art, as I think landmarks are important as it gives a sense of place, the Dream is too subtle as a gateway piece of art. On a dull day with grey skies you will miss it as it’s white and blends in. Obviously on a clear blue sky day you can’t miss it, but how many blue sky days do you get in the north of England? Nice idea, but I don’t think it has the same impact as the Angel of the North. Possibly it’s a bit too literal and lacks ambition for my tastes. Back to the town centre - we parked in an old style multi-storey car park with very tight turns. However on the upside it was cheap at £1.20 for two hours parking. 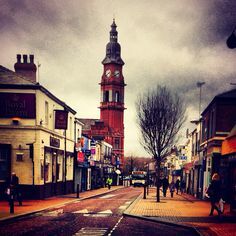 St Helens is a mix of big name high street stores interspersed with lots of random independently owned stores. The town is dominated by a large precinct with the major high street chains, whilst most of the independent shops occupy the side streets around the edge of it. Credit needs to be given to St Helens Council as the streets were clean and the buildings seemed well maintained. On a scale I would say it was better than Leigh, but not as good as Wigan in terms of shopping experiences go. There were lots of little cafes dotted about the streets and seemed quite popular. However they tended to be your liver and onion specials type of cafes you’d have found in the 60s and 70s, rather than your posh panini type. If you wanted to film a Ken Loach type film set in the 70s or 80s these type of cafes would be perfect period locations. The pubs seemed rather old school, although I did notice Havana seemed to be more up-to-date had embraced the food aspect of modern pub culture in a northern style. You could see people through the windows having their English breakfast with a pint or a pot of tea. We obviously hit the charity shops and there were lots of them. Most, if not all, were very well maintained shops and therefore easy to navigate. Although if memory serves me correctly we couldn’t find an Oxfam. I found the books were cheap to pick up and Neil picked up a couple of collectable vinyl records. The lady in the charity shop struck up a conversation with Neil about how vinyl was becoming collectable, although Neil hadn’t the heart to explain to her this depends on the artist and condition of the record and not the fact it was on vinyl. If you are looking to kit out a new home with furniture on a budget I always recommend visiting your local hospice charity shop. If you don’t mind doing some sanding and painting you can get some fab pieces of cheap furniture. In St Helens I found Willowbrook Hospice Charity Shop and if you are looking for a fire surround type mantelpiece this a place for you and they had a good selection. I absolutely regret not picking up one for £35 as I hadn’t the dimensions of my fireplace. You can save yourself lots of money for sure looking in the Hospice shops. 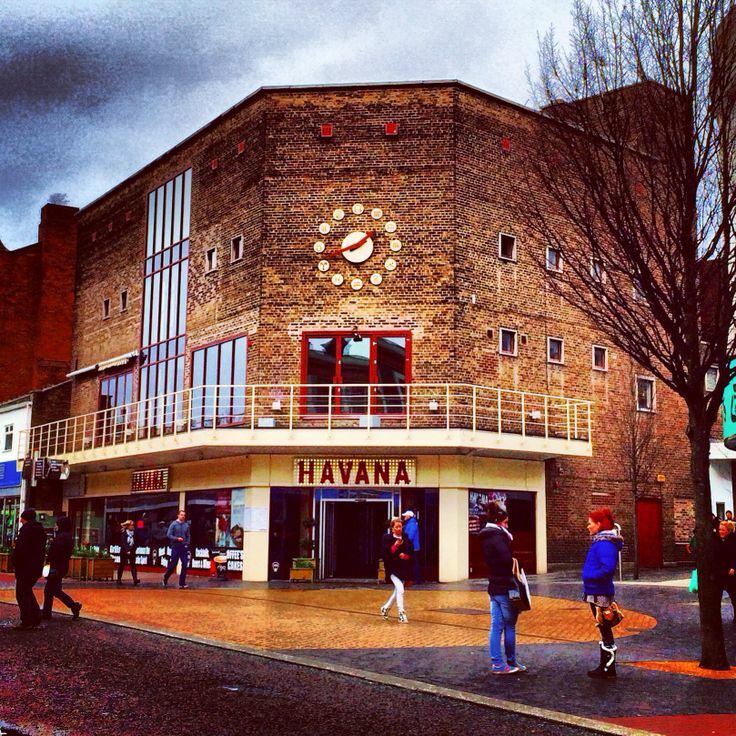 Thankfully in St Helens there still remained some cultural independent shops including Kaleidoscope Records where you could find new and used records. Neil did actually browse in here as the prices they charged were Kingbee reasonable, which is cheap by most record shop standards. 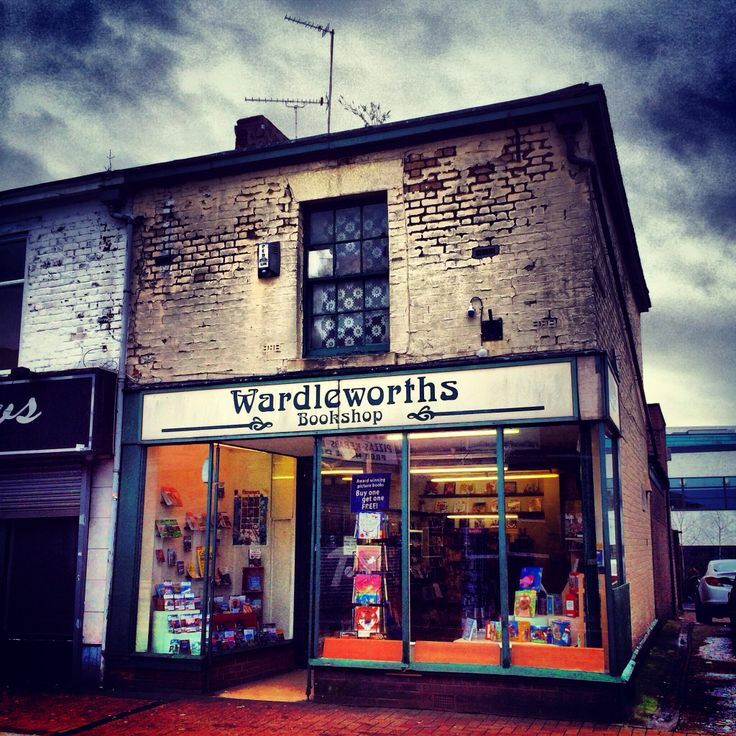 Opposite Kaleidoscope was Wardleworths bookshop, which was nice and friendly. RenniesArts and Crafts shop manages to serve the local art community too. It maybe helps there is a local college in the heart of the town that helps keeps these shops ticking over, but it’s great to see them survive in this day and age. Architecturally St Helens is quite interesting when you get away from the precinct. There are quite a few buildings from its Victorian heyday. 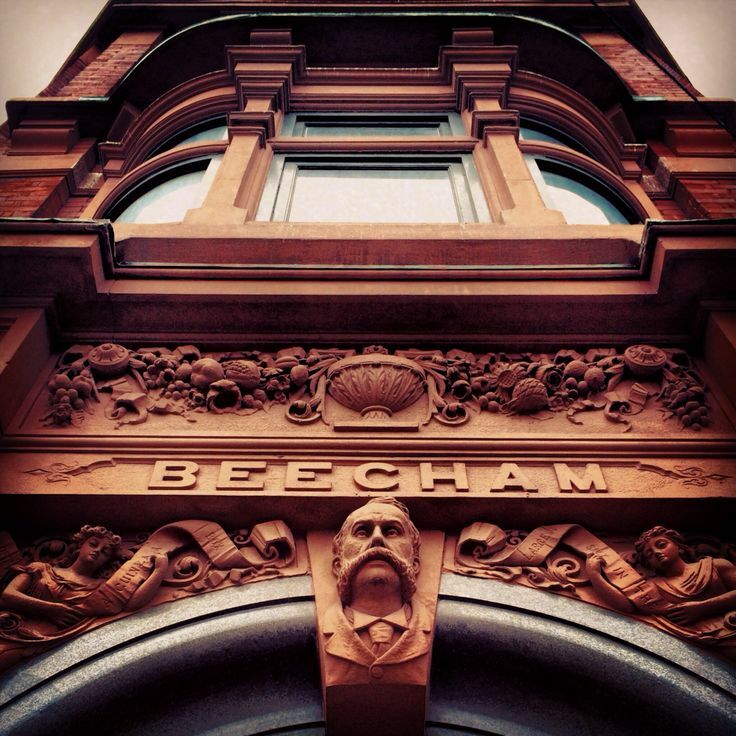 The Clocktower building, which is part of the college, stands proud with a carving of a scary looking man with a moustache staring down at passers-by. Havana seems to have taken over a former department store and interestingly it has a zodiac clock on the side of the building. The Yorkshire Bank now occupies the grand white building that used to house The Manchester and County Bank Ltd building opposite the precinct. It’s so important to look up in northern towns and see the history contained within these buildings. Familiarity of a town often blinkers you to the pockets of beauty that are contained within the place. St Helens was very quiet the day we went. Maybe it was the bad weather putting people off or maybe people had scooted off to nearby Liverpool to do their shopping. However I did notice it was one of the least ethnically diverse places I’ve been to for some time. St Helens is an ex-mining town between Manchester and Liverpool and obviously with the decline in the industry it has experienced some economic issues. Maybe that is a reason why people from different ethnic backgrounds haven’t moved into St Helens as there aren’t that many economic opportunities in the town. I know efforts have been made to address the local economy, but when you visit nearby Liverpool and Manchester, they are worlds apart in terms of regeneration. What else struck me was how ‘old’ the older people looked. When I worked in Wythenshawe I noticed the older people had their hard lives etched in their faces and St Helens is no different. Obviously working down mines and in industry takes it out of people physically in the long term with poorer health and shorter lives. However the physical gap between young and old is immense in this town. Whilst the young are sporting scouse brows and fake tan with no cares in the world, the older people are hunched over with arthritis and grey with heart and lung disease. My Dad looks positively spritely compared to some of the people we saw here. Whilst he worked hard throughout his working life and he has had health issues, at least he worked outside and wasn't exposed to the harsh underground conditions miners had to face. It was interesting to visit St Helens, although the weather seriously didn't help matters. You could not help but see the issues that affect the people here in terms of health and economy. I do wonder what the future has to offer St Helens as it is caught between the cities of Manchester and Liverpool. Maybe its future is that of a commuter town or maybe it will get caught in the regeneration effect that flows out of Liverpool and Manchester. However I don’t have a crystal ball and can’t predict the future. What I did see was a northern town struggling with the impacts of its industrial past, but dealing with it as positively as it can with regeneration projects and a large college educating its young people.